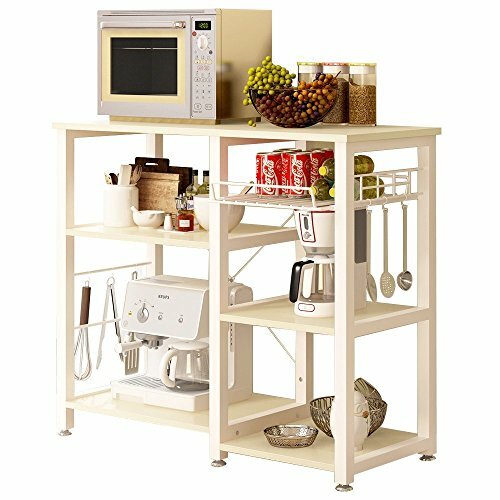 Not only are bakers racks a great way to store essential goods in the kitchen, they add personality to your place of cooking. 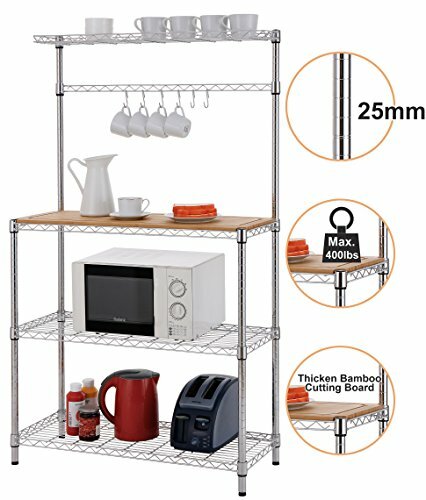 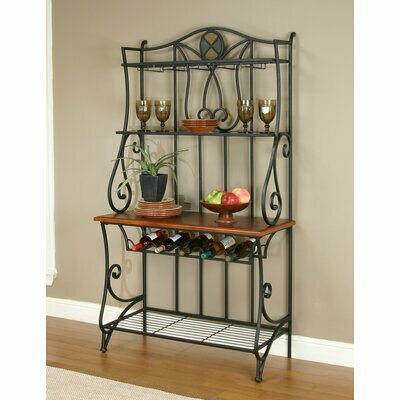 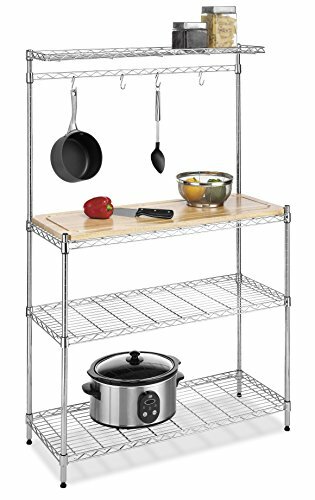 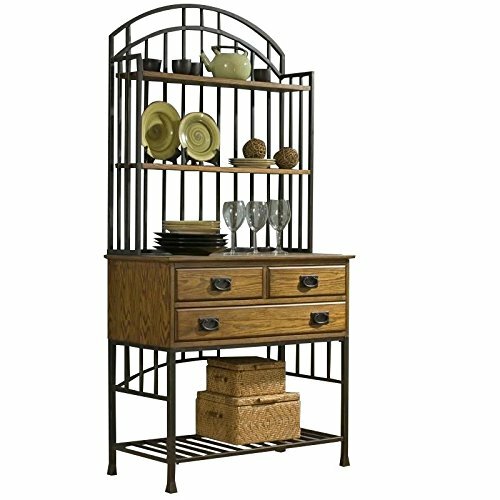 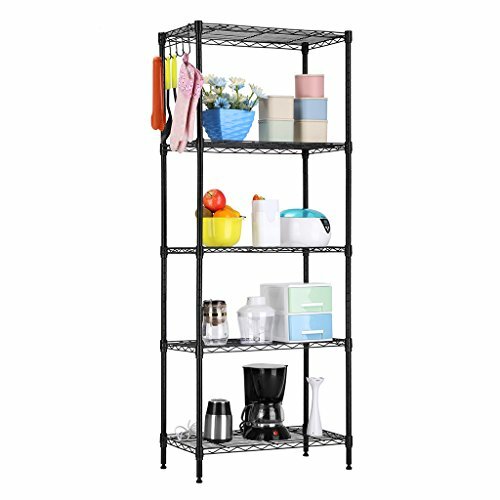 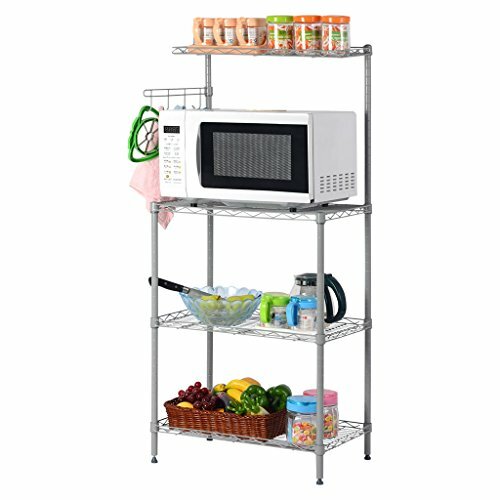 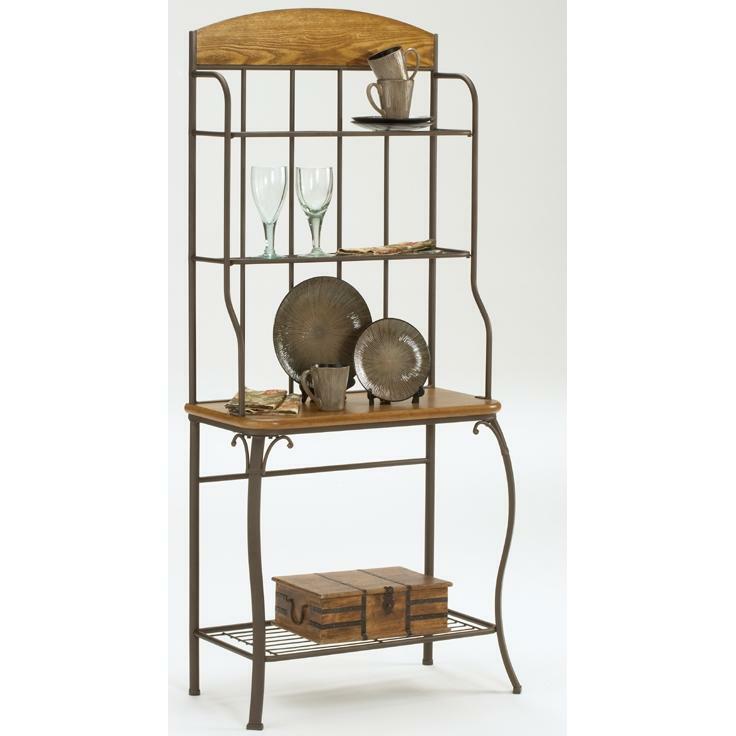 Whether you need a small, simple kitchen rack or want a larger one with a built-in wine rack, we have a wide selection. 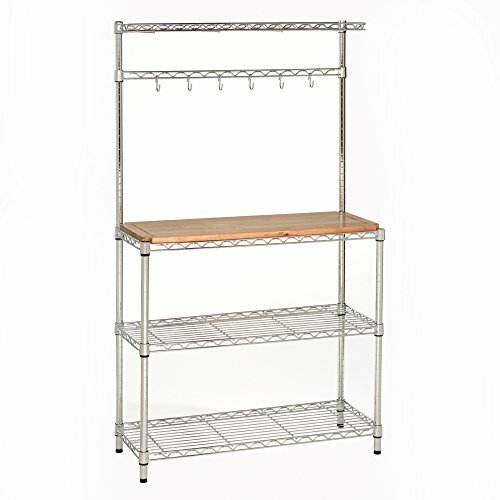 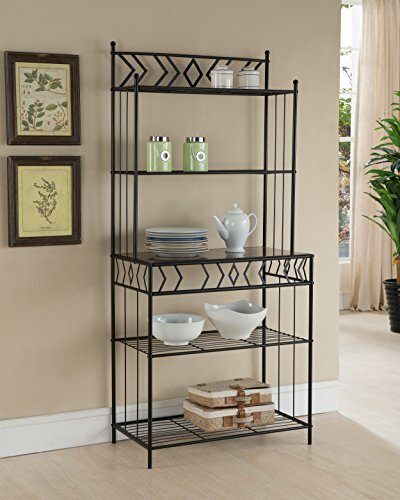 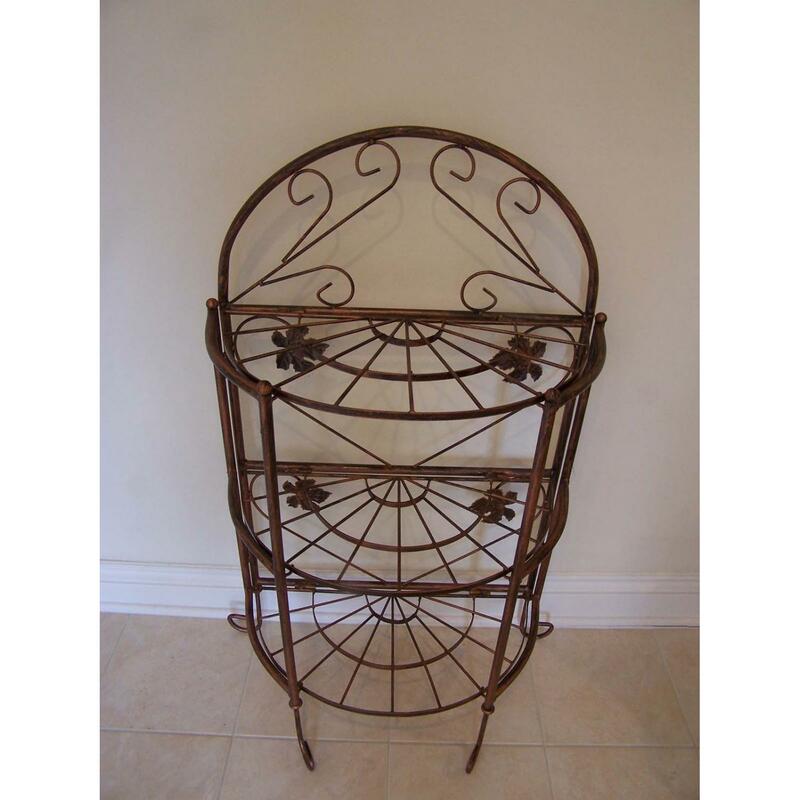 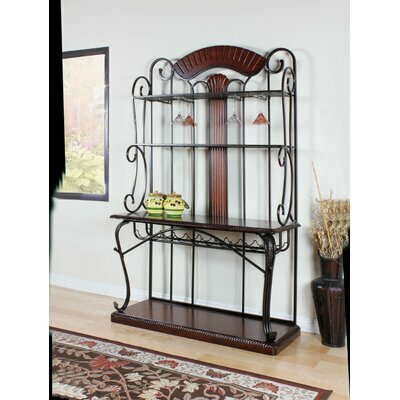 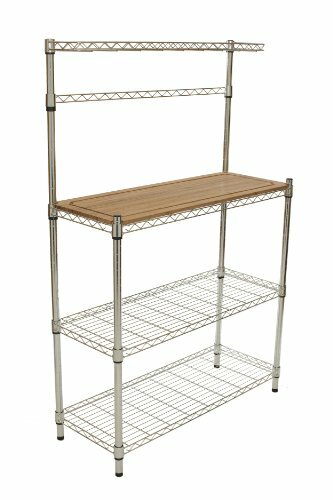 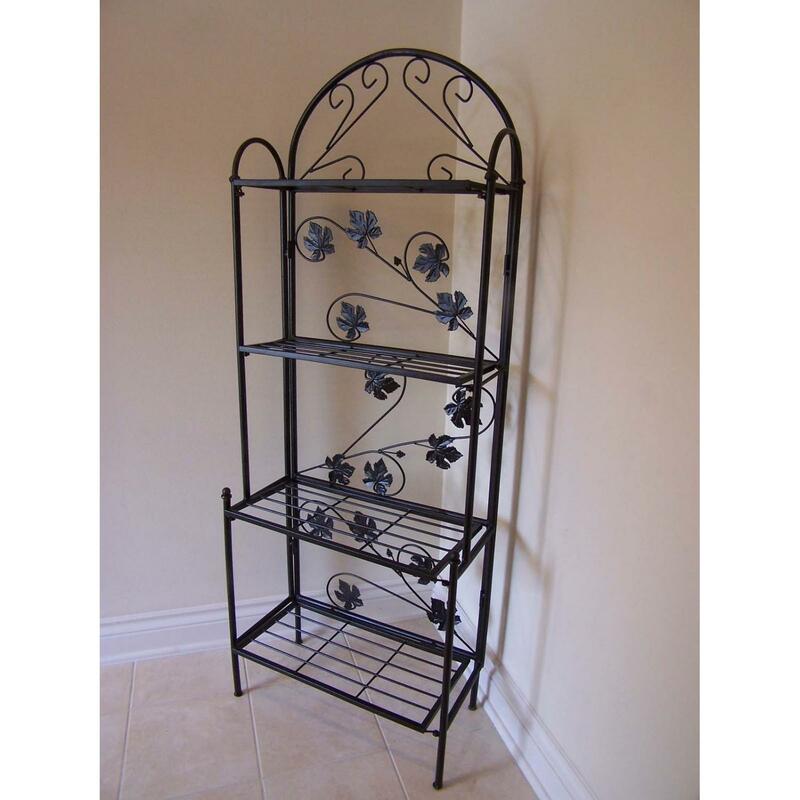 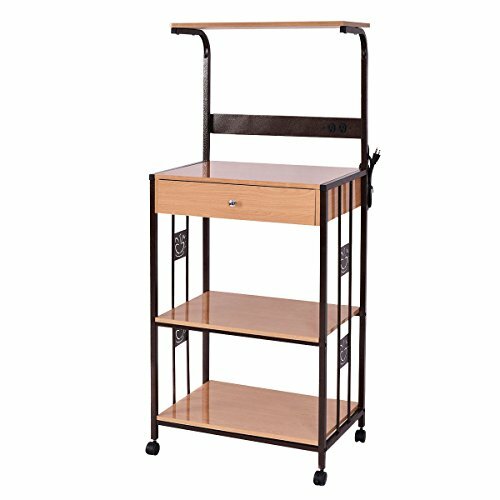 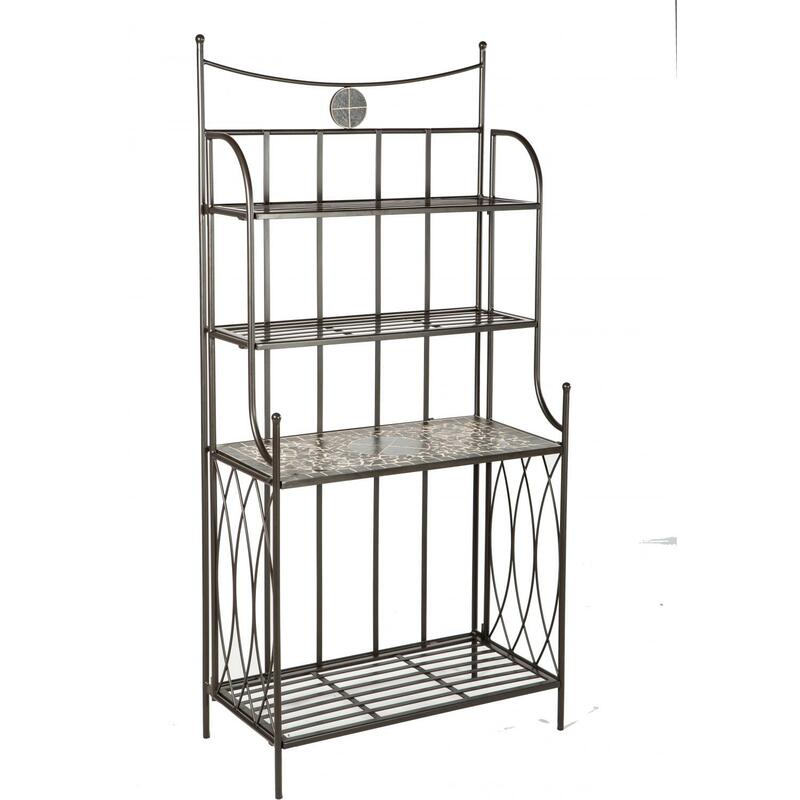 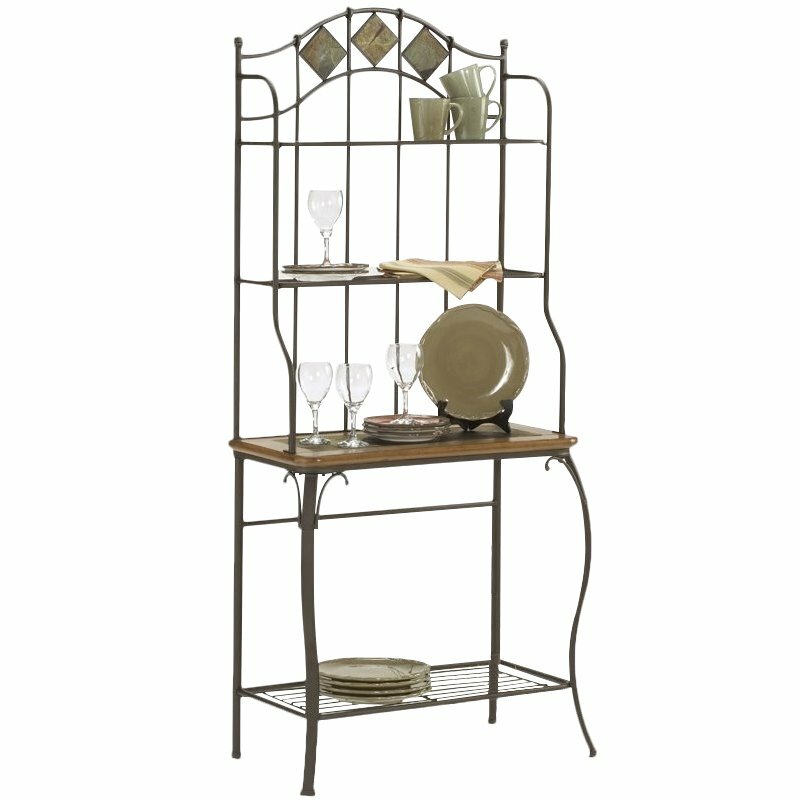 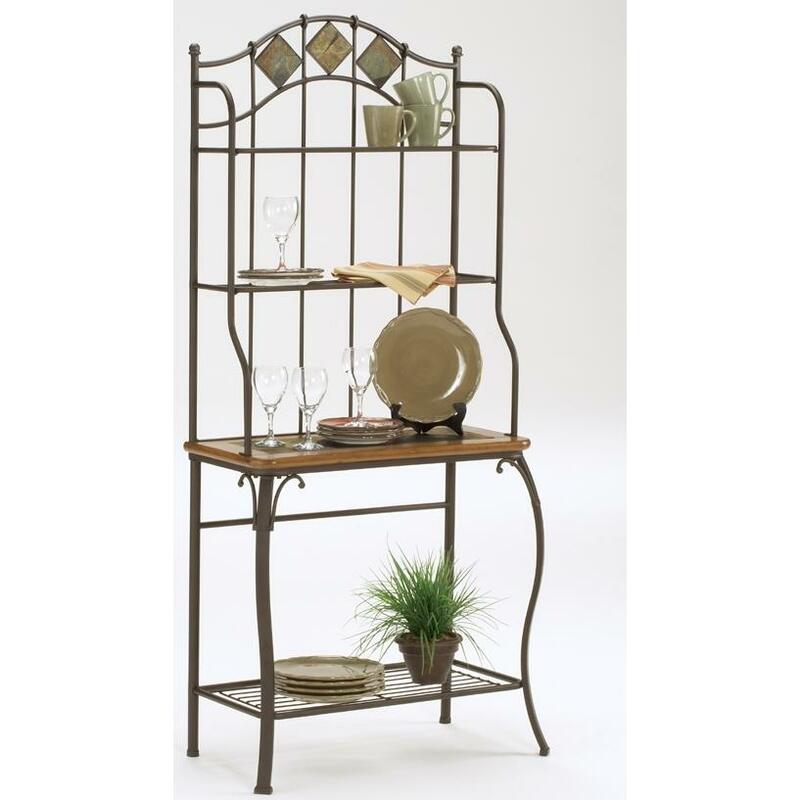 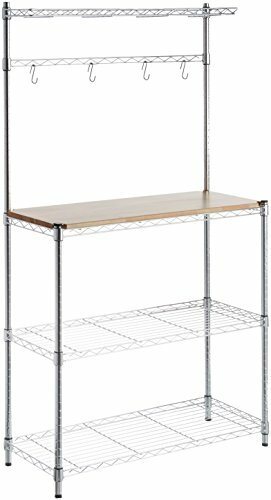 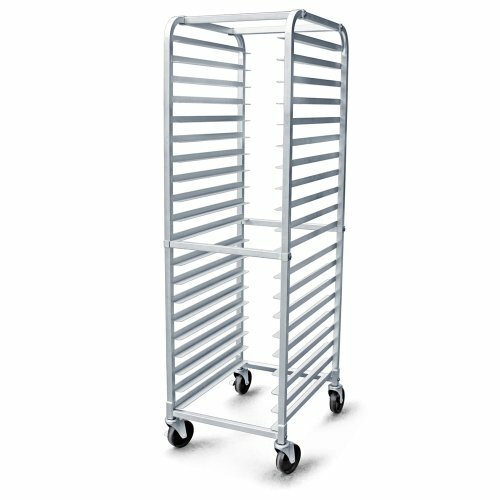 Choose from wrought iron, and metal bakers racks available in colors such as white, green, and chrome. 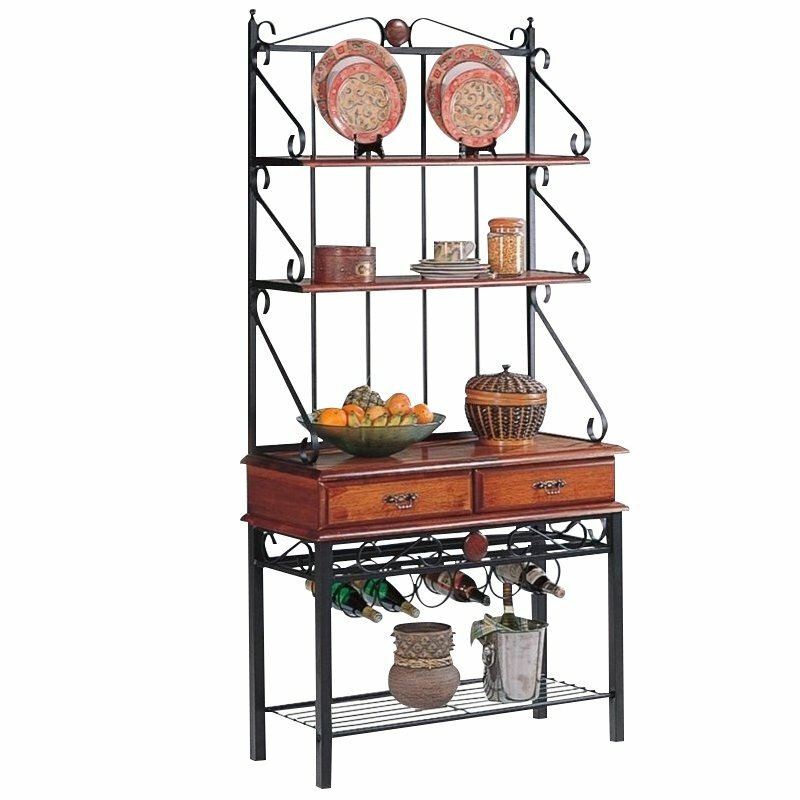 If you’re looking to spice up your kitchen decor, want a fixture for your wine bottles, or just need a way to store your favorite ingredients.